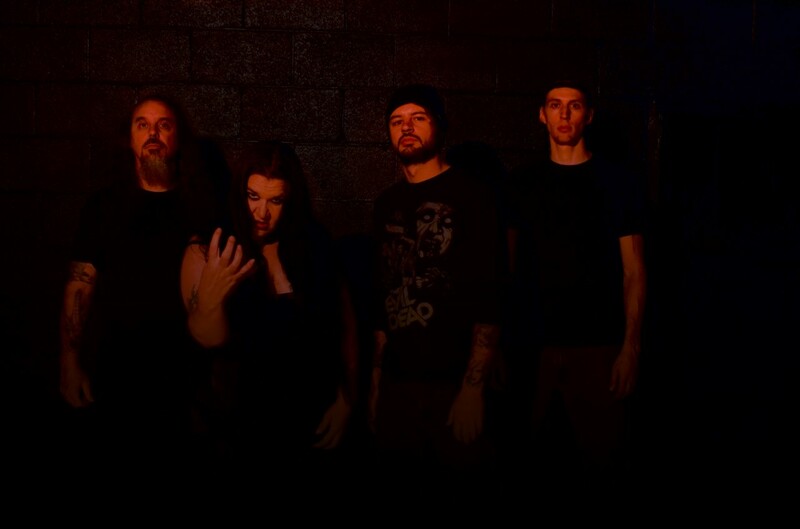 This is a Death metal band that is a must have to check for every old school metalhead, this is a band that personally, I regret miserably missed the release of their first work entitled "In Death We Rot" in 2015, it was energetic, brutal without intricate riffage structure, it was a direct discharge like a slap in the face, invoking bands such as Obituary, Asphyx or Bolt Thrower just to mention some. Now they are returning with a pretty good album "Execution of Violence", with a view more focus to enhance what they achieved in their previous record, prevails the simplest structure in terms of songwriting, the powerful vocals delivered by Holly Wedel keeps sickening, tearing apart whatever they find in her way, on top of this qualities we can find out the mastermind of Dan Swanö providing the mastering at Unisound AB, projecting the band to another whole level. 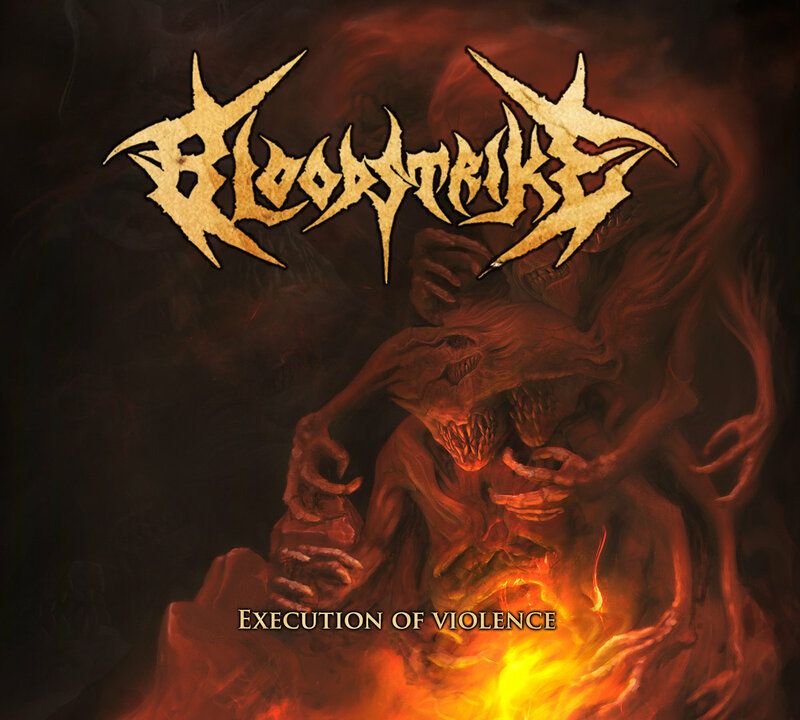 "Execution of Violence" is slightly over thirty-eight minutes of duration, in my opinion, it's just a little short of what I'm looking for a death metal albums; But Bloodstrike managed to compensate excellently, my broken expectations with an unquestionable class, the album contains ten tracks, the opening track is "Procreating for Death" which start with an obscure path heavy and slow riff it remains along the song, while Wedel's sepulchral voice blows up the speakers, next in line is "Creeper", it keeps the same rhythm from it's predecessor and suddenly shift into a more savage territory building up the speed, "Emptiness of Life" comes more vivid and the sound of the band is immeasurably compact and solid as well as demolisher, "Ministry of Hate" and "Corpses for Dissection" won't let you down for a minute, both tracks are very rhythmic shifting pace back and forward, "Execution of Violence" the self titled album track, include the most crushing and heavier riff within the album, the raspy vocals are simply stunning, "Detest Morality" falls into a Death Doom metal approach alike Asphyx early works, "Whoremonger" keeps up the carnage, with rabid riff and merciless drum work, Bloodstrike certainly knows how to keep you hooked up, "Iron Rations" prove it before taking the last track "Hell's Wasteland" strive to connect with the Florida death metal sound; But this guys are so good in their own sound that ended up sounding as them self. To recap, Bloodstrike has heavy riffs, engaging melodies, their sound is solid and stronger, effectively showing the changes of pace, vocally they have a powerful front woman to reckon with, beyond doubt Denver base metallers are getting closer into the eye of the storm, the album "Execution of Violence" ensures them a unique path to succeed.